Mr. Burnes is a Partner at WindRose Health Investors. Prior to joining WindRose Health Investors in 2011, Mr. Burnes worked at Welsh, Carson, Anderson & Stowe where he evaluated and executed investment opportunities in the healthcare and business service sectors. 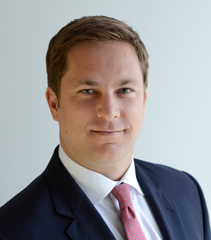 Previously, Mr. Burnes worked in the Investment Banking Division at Bank of America, where he focused on financial sponsor and leveraged finance transactions. Mr. Burnes received an M.B.A. from Columbia Business School and B.A. from Connecticut College. Mr. Burnes currently serves on the board of directors of Avadyne Health, basys, Medical Knowledge Group, myNEXUS, Trumpet Behavioral Health and Vital Decisions. Mr. Burnes formerly served on the board of directors of Celerion, Secura Home Health, and Senior Home Care.